Here is a simple and inexpensive training tool to use in building confidence in your horse. 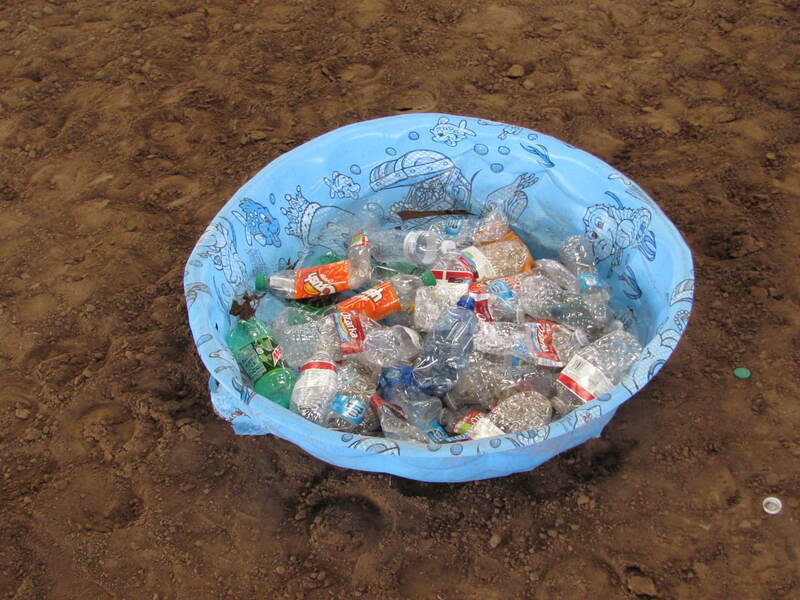 A child’s wading pool filled with empty water and soda bottles. The sound when the horse steps into the pool is loud and crackly. The feel is strange to the horse as the bottom of the pool gives from the weight and the bottles slide underneath the hoof. The pools are cheap to purchase, but you can often find them at the end of the Summer in the trash as you drive down the road. Of course, you want to look both ways before you grab one out of the trash. People may wonder what’s wrong with you; stealing a worn out pool from the neighbor. If you really want to get their attention, sort through their garbage to get the empty bottles as well. Riding your horse through the pool is one more way to teach confidence and leadership. Many horses prefer to just go around the obstacle rather than cross it. As with any new and strange challenge, it may take a couple of attempts before your horse enters the pool. But, once he does, the exercise can be expanded for him to stand quietly in it. You can add water to make the bottles float and move even more. In short, it is an easy way to artificially create an obstacle in your own backyard. Pulling logs is a great way to build your horse physically, mentally, and emotionally. The geldings at the ranch are taught to pull all sorts of things; logs, tires, metal barrels, sleds, fence posts and whatever else we need done. Not long ago, someone ran across an old metal table in the woods. A lariat was tied to the table and the young gelding dragged it over half a mile back to the trash at the barn. 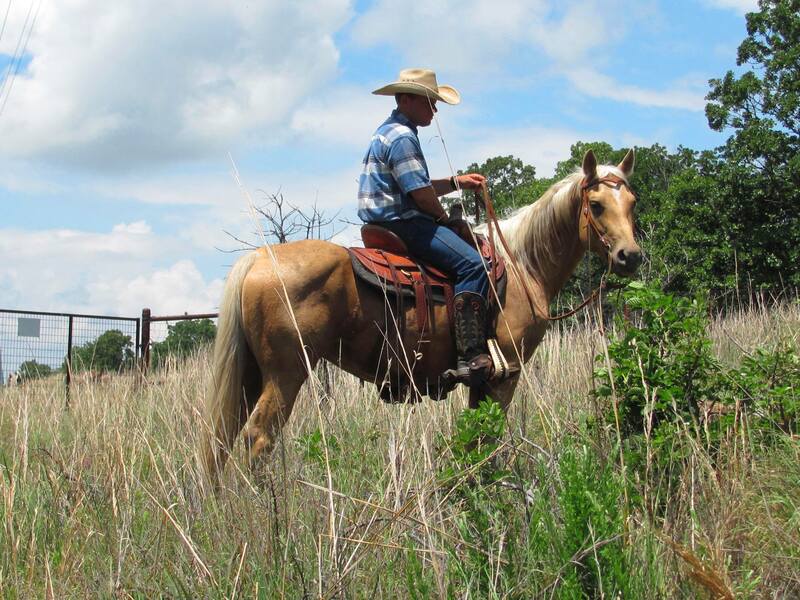 It isn’t hard to see how pulling some extra weight helps get your horse in shape. No different from you pulling the little red wagon with the kids around the yard or the sled through the snow. It helps a horse mentally because they learn to think. You don’t make really tight turns around a rock or a tree. The horse has to learn to think just a little more. Of course some never get the hang of it. Emotionally the horse develops from learning to accept a lot of noise and commotion behind him. Our ranch geldings quickly figure out that it isn’t going to do any good to get upset. It doesn’t make it stop following them. If you haven’t ever pulled or tied off to something, you probably should get someone with experience to help you the first few times. It can occasionally get exciting and you don’t want to learn how to do it the hard way. It hurts too much. We used the term “tied off” but strongly suggest it doesn’t mean really tied. We use the term to mean someone took a couple of dallies or loops around the saddle horn. In a bind, you can let go of the rope and it will just unwind. Safety needs to always be a priority when dragging or pulling. You want to always be able to release the pressure in the event of an emergency or unexpected happening. You are currently browsing the horsesfortrail blog archives for July, 2014.